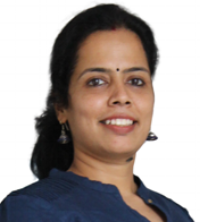 Prashanti Jaykumar has over 6 years of experience working in 5 star hotels. She started her career as an Asst. Housekeeper in Hotel The Taj Mahal, Mumbai after passing out from Institute Of Hotel Management (IHM). During her tenure with The Taj hotel, she was deputed as Housekeeper-in-charge of Hotel Taj, Aurangabad, where she was not only responsible for the Housekeeping Dept. of the hotel, she was also in charge of in-house training for the students of IHM, Aurangabad (The Taj Group Of Hotels) - both theoretical as well as practical. Prashanti has also worked in the capacity of Executive Housekeeper in Hotel Fortune Landmark, Indore. She was a member of the core team of the hotel which planned, worked towards and successfully attained 5 star classification for the above mentioned Hotel. It was under her leadership and guidance that the hotel started operating an in-house laundry. Training her departmental staff as well as college student trainees was one of her core responsibilities. Prashanti also held the position of Reader and HOD, Housekeeping Dept. in Mashal College of Hotel Management, IPS Academy, Indore. Here she brought in the much required discipline and correct attitude towards service within the students. She was responsible for Accommodation Operations, Accommodation Management (both Theory and Practicals) and Development of Soft Skills and Spoken English. Prashanti passed out as one of the toppers from IHM, Mumbai, coming 2nd in the college and 7th in All India Level.